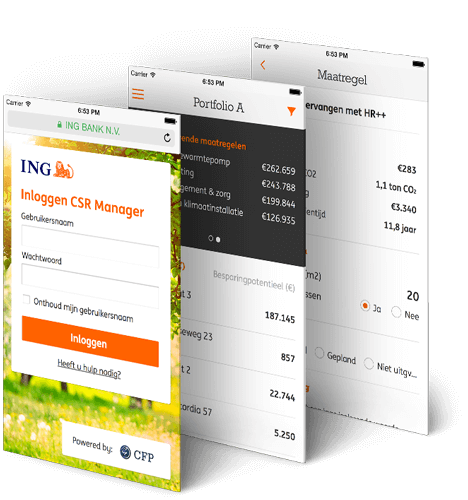 In collaboration with CFP, DTT has developed the ING REF Sustainable iOS application for ING. 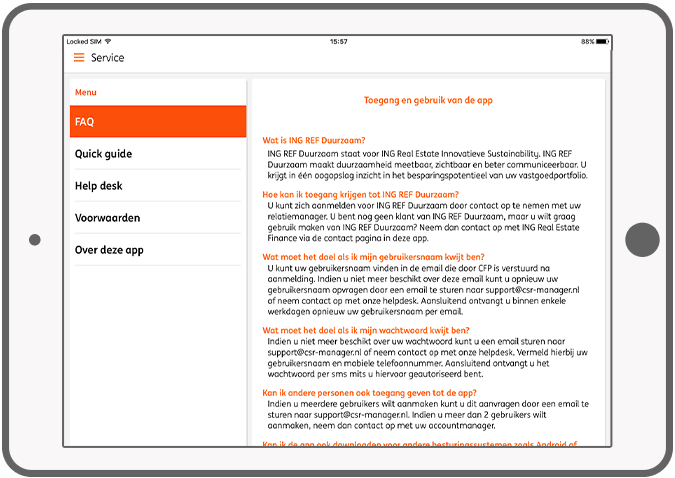 The app makes sustainability measurable, visible and communicable. 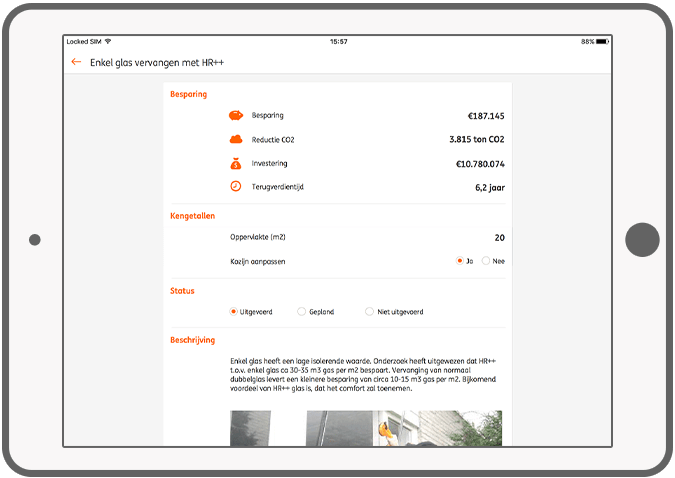 At a glance the user gets an insight into the savings potential of their real estate portfolio. 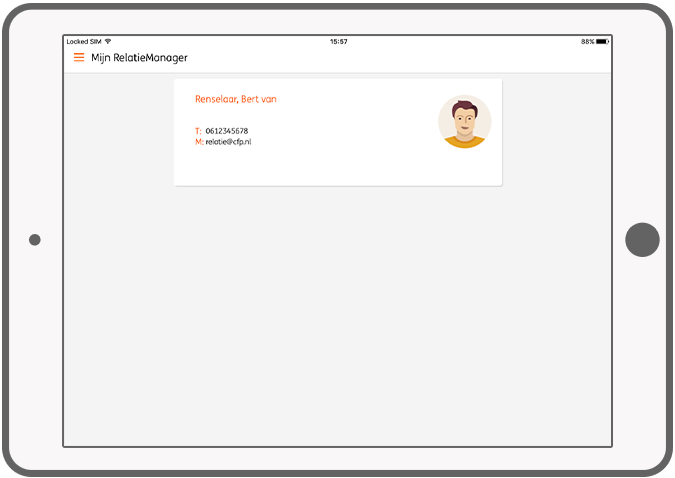 The app also gives the user a management summary of the building level. 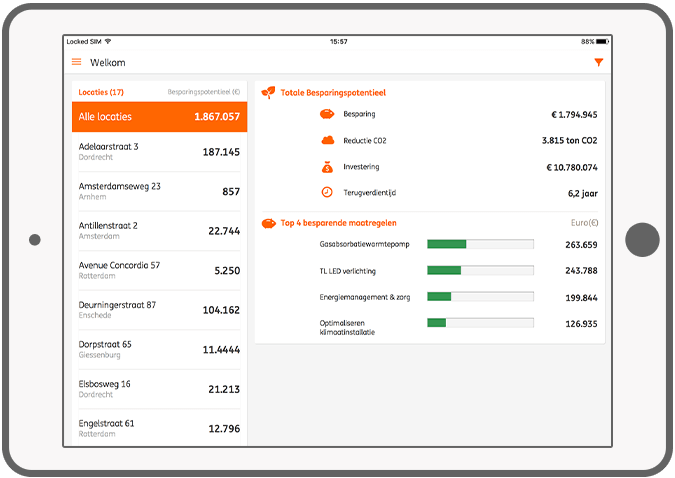 For every building the user can see what is being saved, the characteristics of the building and what measures can be taken to save even more. 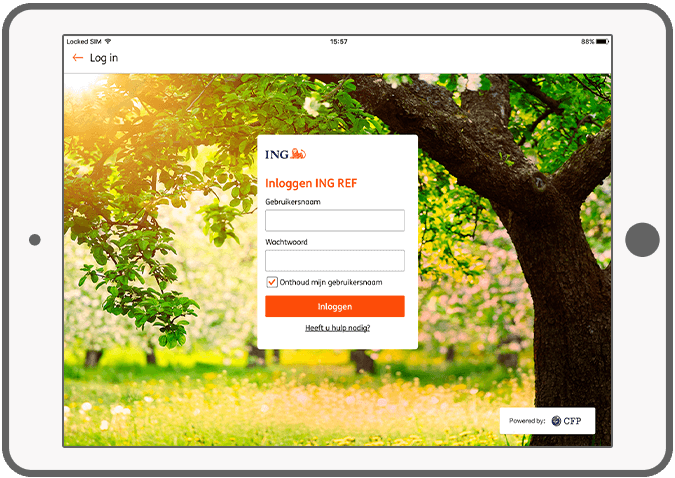 These measures and the financing can be discussed with the ING relationship manager, which is accessible through the app. 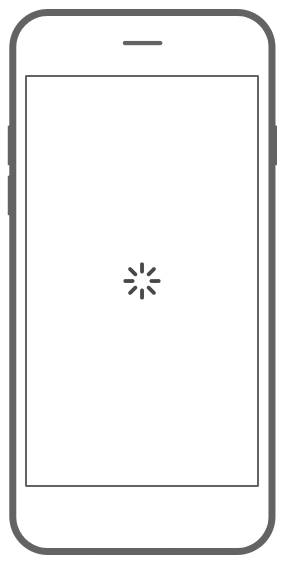 Log in to the app with a unique username and password combination. View the overall potential of all locations (or a location) and the five best saving measures for a location. 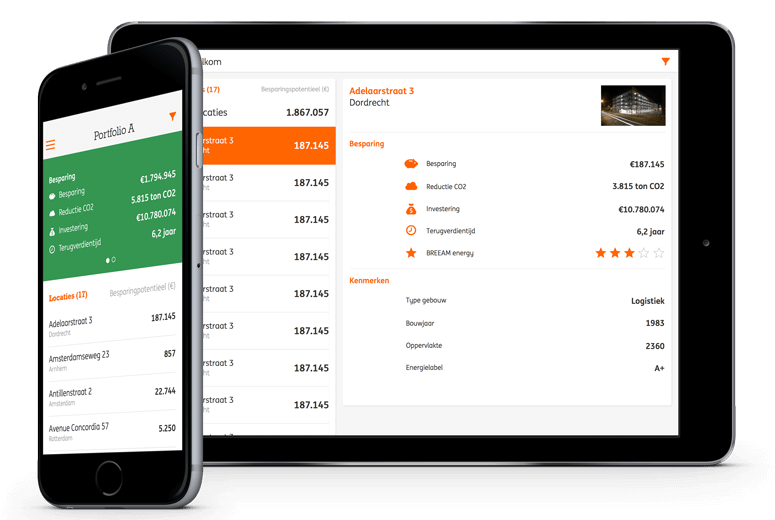 See the total delivered savings, index numbers, status and description for each measure. Check your personal relationship manager and contact him. 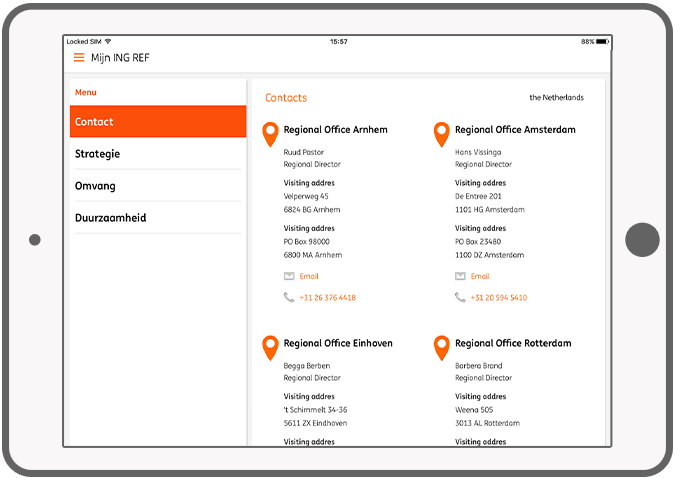 Contact several ING offices and view information about the strategy, scope and sustainability of ING. See the list of frequently asked questions or contact the helpdesk.